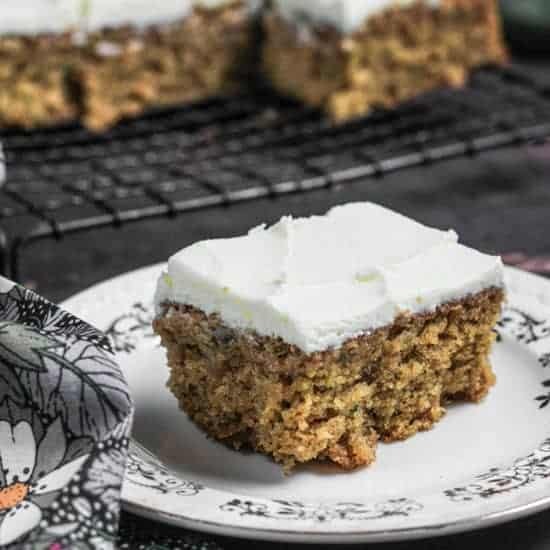 Courgette Oatmeal Cake with Lemon Mascarpone Icing is a gluten-free cake that makes the most of summer’s bounty and is perfectly light, moist and incredibly moreish. 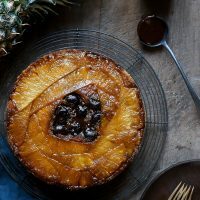 It boasts a wonderfully light sponge with a tender crumb thanks to the combination of rice and oat flour which not only makes this bad boy gluten-free but also lends it a toasted, coming to the end of high summer, campfire in the evenings vibe. 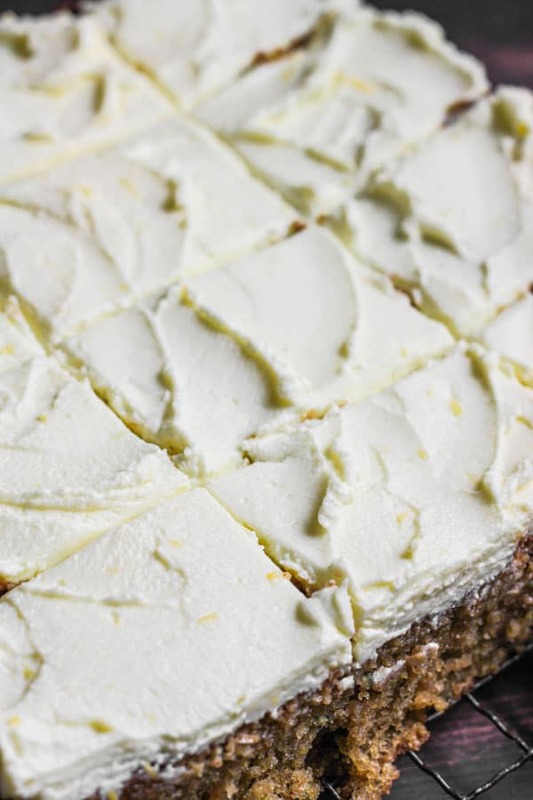 It is iced with a creamy lemon mascarpone with only a mere whisper of sugar, but plenty of zesty citrus as a perfect compliment to the delicate courgette flavour. A perfect treat for our heady August days when cake might otherwise seem too indulgent. This cake was inspired by the bountiful mountain of courgette at the farmer’s market last week, all shapes and sizes in varying shades of green. I have been fancying a courgette cake for a few weeks now and just like that it all fell into place. These days courgette nests proudly in my vegetable drawer. At one time considered a boring watery addition to Sunday roasts, it dragged everything down with its mopey presence. Then I started using it raw in salads, roasted in garlicky olive oil and finally as courgetti. 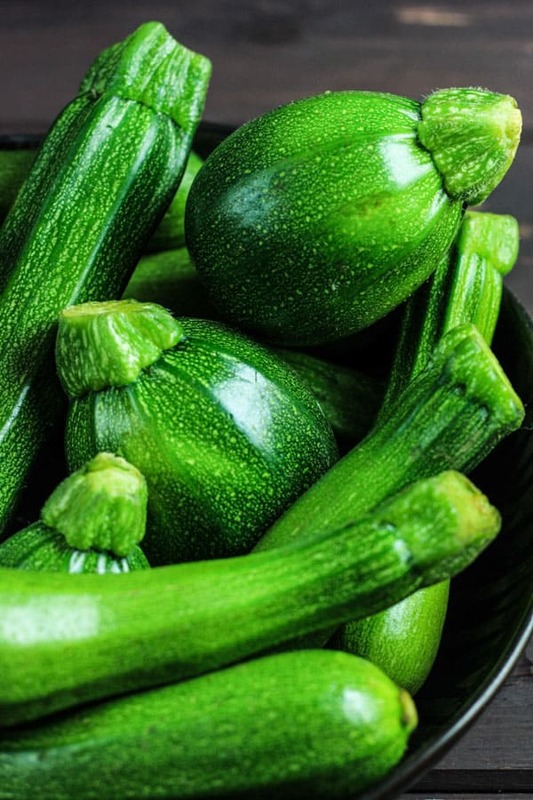 Now courgette is celebrated and embraced in our family, an absolute must in our weekly shop but it’s at its very best right now. Like any vegetable you have to know how to get the best out of it and boiling it to oblivion is never the answer. In my house, cake is the more obvious solution. 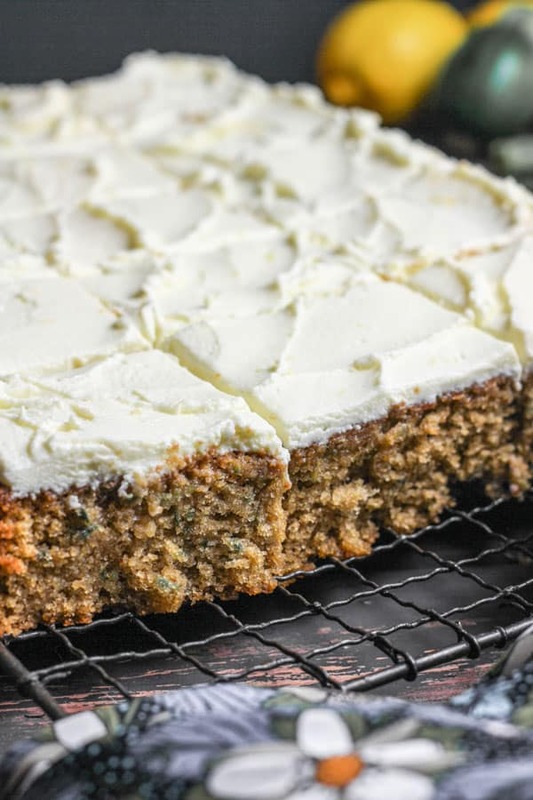 And this courgette oatmeal cake with lemon mascarpone icing is my new favourite family friendly bake. 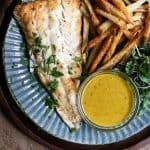 It’s a complete stunner and despite making and eating it more times this week than is really acceptable for someone who is on a never ending mission to lose her baby weight, I haven’t come to resent it once. 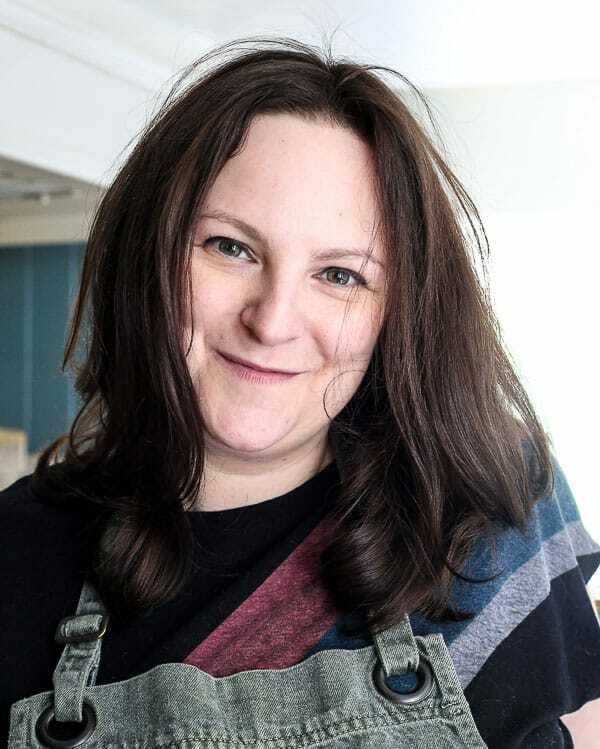 That is because the batter comes together in moments, baking up a dream so it is ready, iced and on your fork before you can change your mind about having an afternoon slice of cake. The sponge is so light thanks to the power partnership of rice and oat flour. 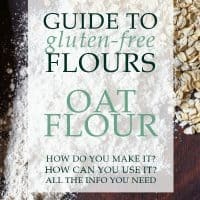 If you can’t find oat flour then by all means whizz up some oats very finely in your food processor, the results will be the same and oat flour can be quite pricey. 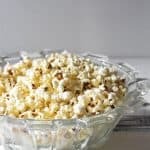 Rice flour though is more accessible these days and is an absolute must in my larder, not just for gluten-free baking. I intend to post a lot more using rice flour since I am having a little love affair with it at the moment but having just had this particular delicacy for lunch here is one of my favourite uses for it. 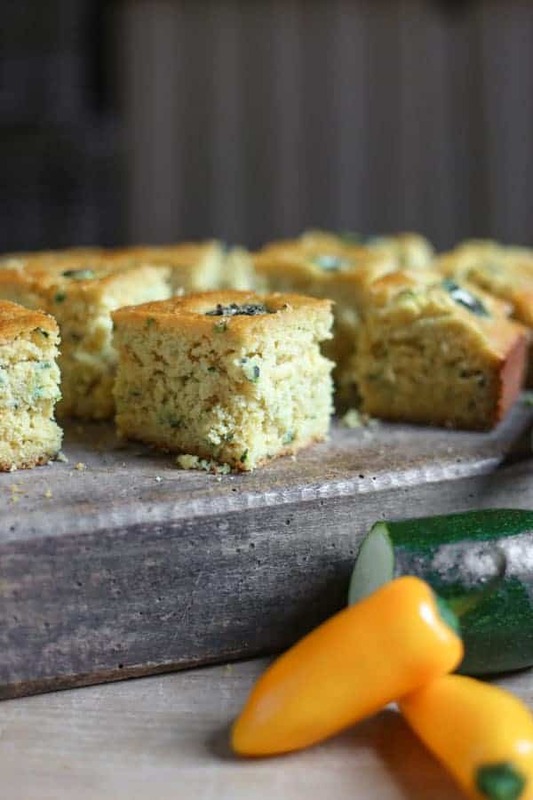 The courgette cake is then carefully spiced with a touch of cinnamon, ginger and nutmeg, not too much to overpower but just to add soft flavour. The icing feels like a bit of a cheat as it is just so easy and unlike most icings you don’t even need a mixer, just whipping together with a wooden spoon is enough. It barely uses any sugar, a tip I garnered from my neighbour after being bowled over by how creamy and cheesy her cream cheese icing was. She confessed that she had only used a smattering of sugar to make it more child friendly. However I found without the addition of butter and hardly any sugar, the icing then becomes all about the texture and flavour rather than a sickly counterpoint. This idea works so well with this mascarpone icing to which I’ve only grated in the zest of 1 lemon and added 2 tablespoons of icing sugar and then a couple of tablespoons of natural yoghurt to help with the consistency and add tang. It’s so delicious that you can happily eat with a spoon all day long. Actually I don’t know if that makes this icing more dangerous but I do know that it is simply dreamy with the courgette oatmeal cake. 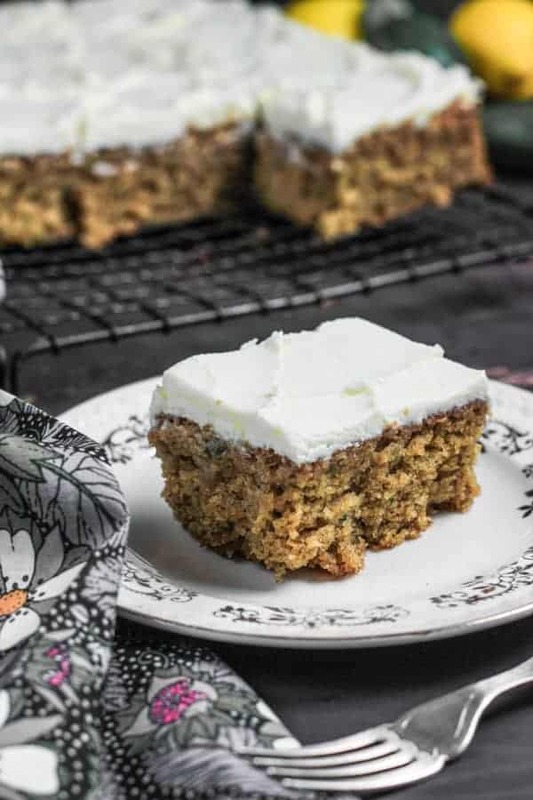 Courgette Oatmeal Cake with Lemon Mascarpone Icing makes the most of summer’s bounty and is perfectly light, moist and incredibly moreish. Pre-heat the oven to 170°C and line a grease a 13x9x4 inch baking tin. 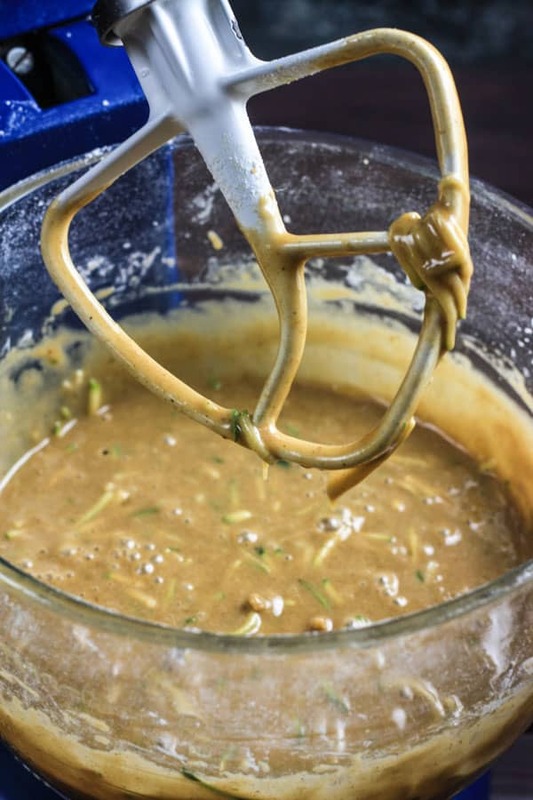 In a large bowl (or stand mixer) beat together the sugar, olive oil and eggs until smooth and thick. Add all the other ingredients in, except for the courgette, and beat until everything is fully mixed together. Finally stir in the courgette until evenly dispersed and pour into the prepared baking tin. Bake for 40 minutes, checking after 20 minutes and covering with foil if the cake seems to be browning too much. When ready, leave the cake in the tin for 5 minutes to settle before turning out onto a wire rack and leaving to cool completely before icing. 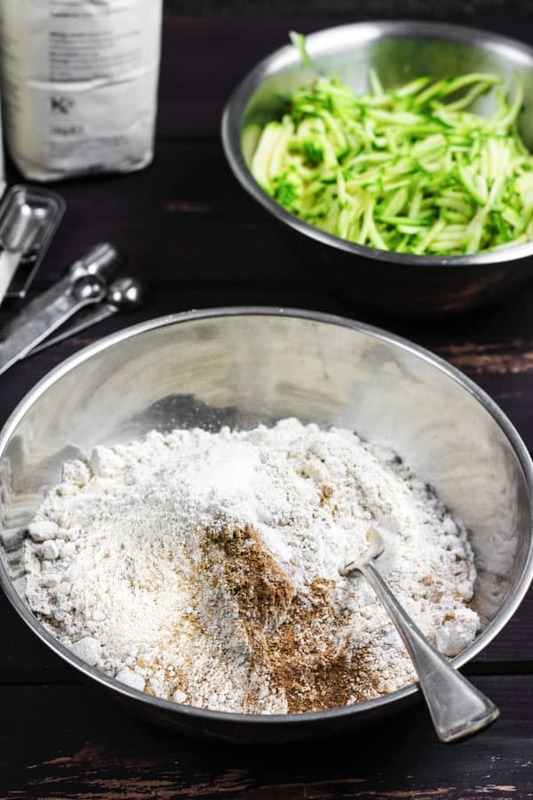 To make the icing beat the mascarpone together with the yoghurt, icing sugar and lemon zest until light and smooth and spread onto the top of the cooled courgette cake with a palette knife. This looks delicious and really unusual. Look forward to trying it out! Thanks Izzy – let me know if you give it a go! 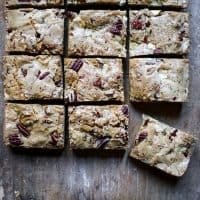 This cake is wonderful, light, moist and delicious. 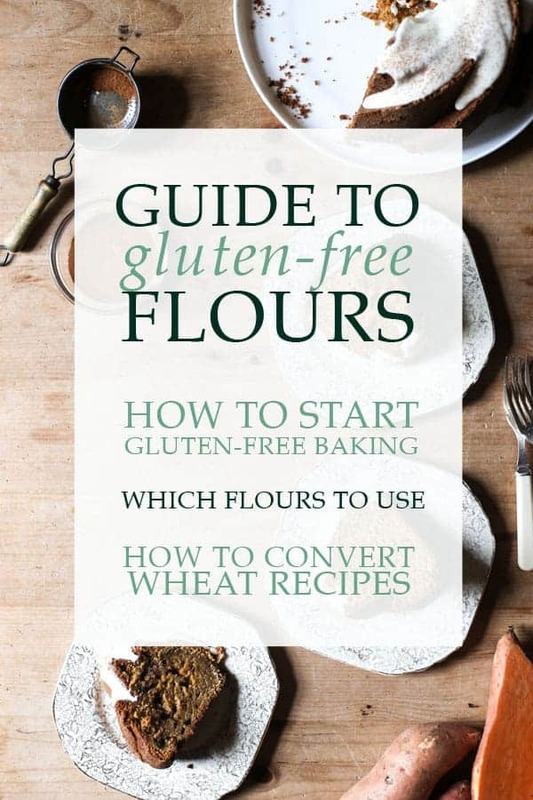 I would highly recommend even if you are not gluten free. It was also a huge hit with the children. Thank you Anne! 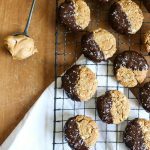 Gosh, yes I love this cake – such a perfect summer afternoon treat! Delicious! 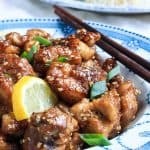 I’ve been sharing the recipe with everyone. Very flavoursome and moist cake complemented well by the lemon topping. I had to add 15 minutes to the cooking time but my eggs were quite large. Thanks for introducing me to oat flour in sponge cakes. 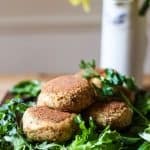 Oat flour was a huge revelation for me too! So happy you enjoy this cake!